Why Your Credit Score Is Low ? Many people go through day to day life not even realizing that their credit is getting worse and worse. It’s important to always stay up to date with the status of your credit by getting frequent credit reports. If you request a credit report and see it’s low, chances are you’re probably guilty of one of the following factors. 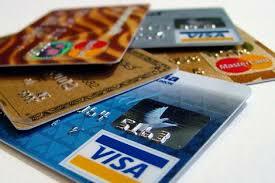 Credit card utilization has an extremely high impact on your credit score. If you have a $1,000 credit limit, and you’re in debt $990, that is an example of high utilization. Ideally, you want to keep your balance below 30% of your credit limit. By keeping a healthy ratio of debt vs credit available, your credit score will appeal to lenders. Some people may have missed a phone bill once, or never closed an account, and late payments on top of late payments on top of interest continuing to build and they don’t even know. A bill in collections becomes a delinquency on your credit score and is very very bad. Lenders do not like to see you’ve abandoned a debt. By staying up to date with your credit report, you can see any outstanding collections debts that you owe and fix them immediately or dispute them if you feel they aren’t correct. Get rid of these at all costs. This factor has a big affect on your credit score. The age of your credit allowance provides lenders with an insight into your payment history. A person who has paid their bills fairly consistently for 25 years is much more appealing than a person who has paid their bills perfectly over the course of 6 months. When it comes to credit history, quantity and quality come into play. Before you start clicking around online applying for every card that advertises itself to you, stop! Every time you apply for a new credit card or loan the company leaves a hard inquiry on your record. This is a red flag to lenders that you are eager to spend and may not have enough income vs credit. The same goes for applying for cell phone contracts, mortgages, or even by an employer. Make sure that you keep these to a minimal amount to avoid the least amount of affect on your score. If you have made even one late payment it will stay on your credit report for years. This has an extremely high impact on your score and should be avoided by signing up for auto-pay.